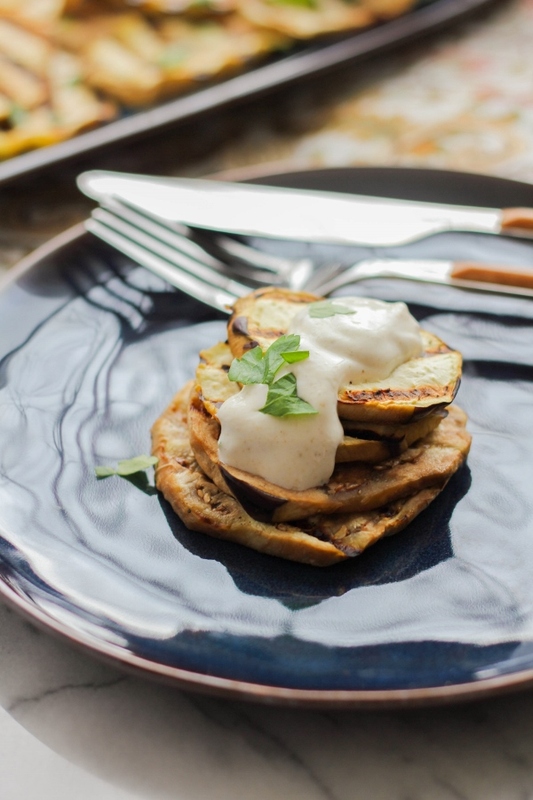 Thick eggplant slices are grilled to tender perfection and served with a creamy and delicious yogurt sauce. This simple recipe makes a perfect side dish or a great party appetizer! 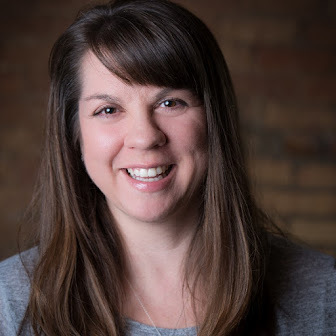 This post was created in partnership with Stonyfield and Simply Organic. My latest organic delivery box included a couple of beautiful eggplants that I was so excited to see. I thought about making eggplant parm, maybe a roasted eggplant salad, but ultimately decided to grill it and serve it as a side dish. I whipped up a super simple yogurt sauce with Stonyfield's new Double Cream Yogurt, which I have fallen head over heals with. It's so thick and rich, and is an awesome substitute for mayo, butter and sour cream in many of my recipes. The yogurt sauce is flavored with a touch of Simply Organic Cumin, as well as red pepper flakes, lemon juice, and a bit of fresh parsley. Insanely easy to make, but definitely delicious. I love using Simply Organic products because they are flavorful, affordable, and of course, organic! 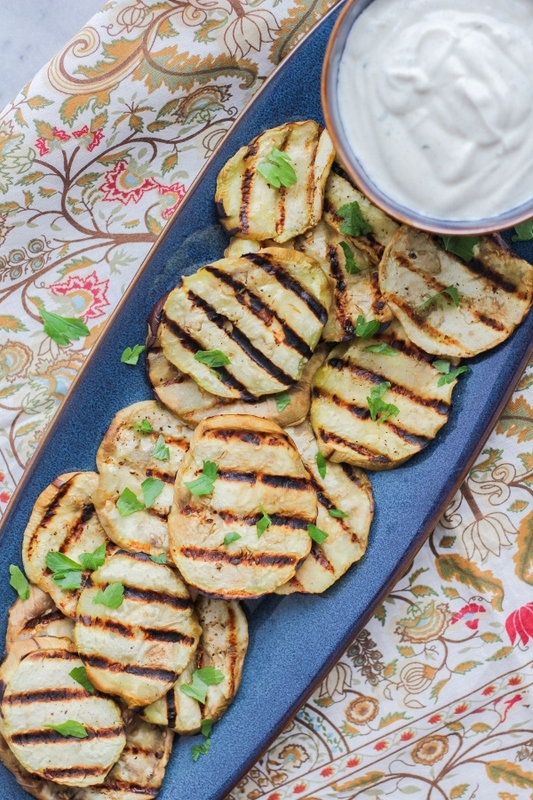 Not only is this grilled eggplant great as a side dish, but it's a perfect party appetizer as well. The recipe is simple and quick to make, and it's a healthy option for your guests. 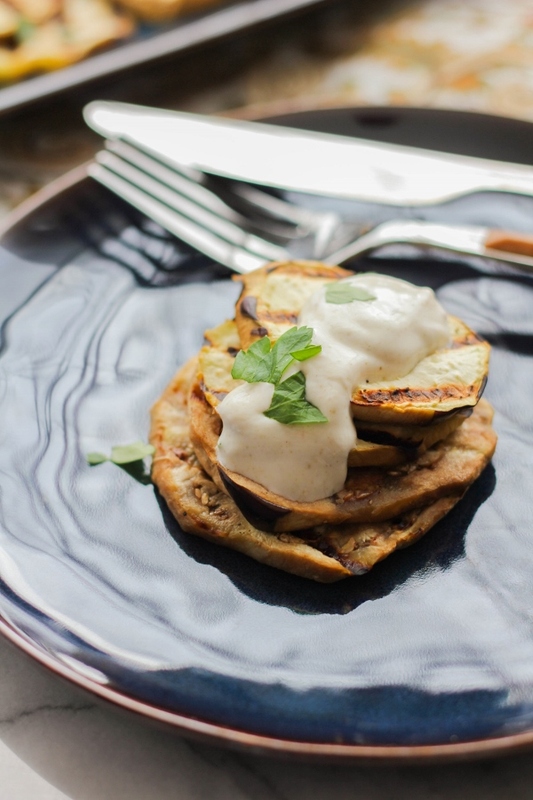 What's your favorite way to eat eggplant? 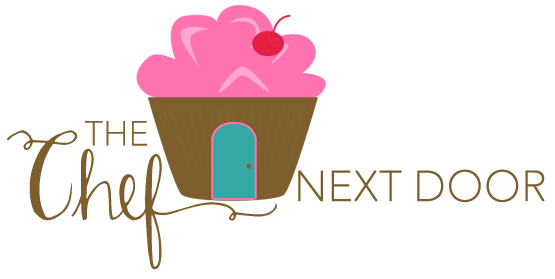 Do you have a special family recipe? I'd love to hear all about it! Preheat a grill to medium-high heat and spray it with non-stick cooking spray. 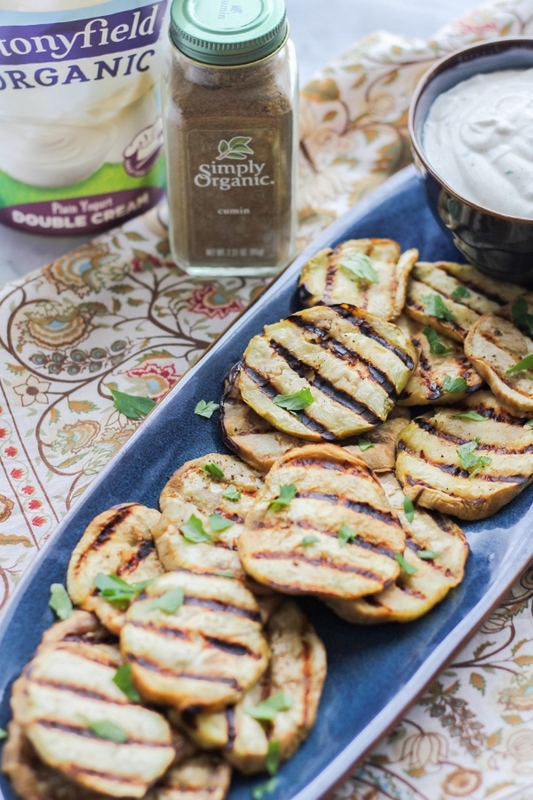 Drizzle the eggplant slices with olive oil and sprinkle with salt and pepper on both sides. Grill the slices until slightly charred, about 5 minutes per side. 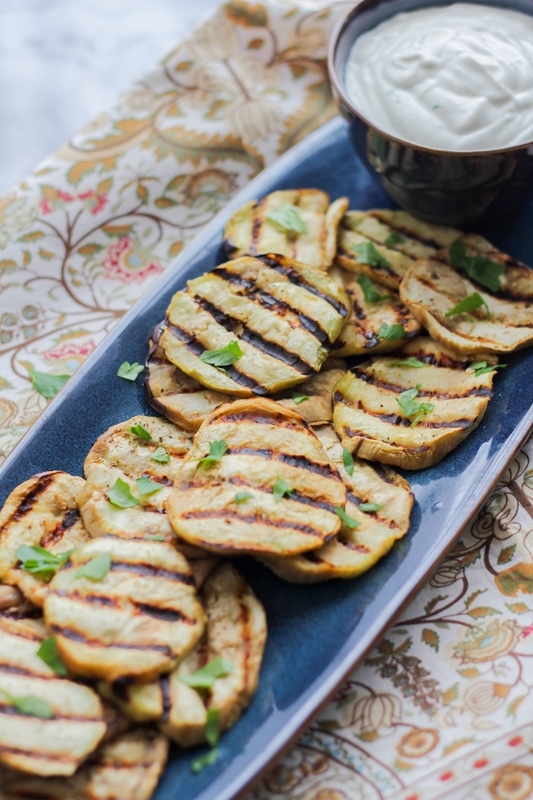 Arrange the eggplant slices on a platter or plate and sprinkle with chopped parsley. Serve alongside the yogurt sauce.